Based in Mumbai, I am the Editor of Forbes India. A first class Economics graduate from St. Xavier’s College, Kolkata, I have been a journalist for over 20 years and have worked with leading Indian business dailies like Business Standard and The Financial Express, heading editions and leading news and features teams. I have also reported extensively on the Indian financial markets, in particular the Securities & Exchange Board of India and the Reserve Bank of India and have also moderated several panel discussions on various issues both for print and television. As a former Editor-in-Chief of the Indian edition of Entrepreneur magazine, I have also had an inside view of the bustling entrepreneurship ecosystem in India, and the private equity, venture funding and startup space. I am also interested in the world of entertainment, which is fast turning out to be an integral part of India’s business universe. Blood on the ecommerce floor? Corporate India is tired. Tired of inaction, slowing growth, the spectre of inflation and uncertainty on the policy front. The country’s topmost business leaders and economic thinkers have almost unanimously said that the next government, in particular the Prime Minister, must take a series of decisive steps to end the uncertainty on policies, ensure ease of doing business and tackle the continuing problem of rising prices. The biggest names in the world of business – from Kumar Mangalam Birla, Adi Godrej, Baba Kalyani and Ajay Piramal to those like GM Rao, Kiran Mazumdar-Shaw and Naina Lal Kidwai – have made their views on this known in a series of exclusive articles written for the 5th Anniversary Special issue of Forbes India, which hits the stands this week. The articles written by the business leaders, together with economic thinkers like Arvind Panagariya, Sanjaya Baru and Rama Bijapurkar virtually set out the economic and social agenda for growth for the next Prime Minister, who will take office later this month after fighting one of the most watched elections in recent memory. Whether it is bringing the single biggest reform – the Goods and Services Tax (GST) in early, creating jobs through a manufacturing push or bringing Middle India out of policymaking’s blind spot, the economic and corporate leaders have unequivocally called for firm and decisive action from the new PM to get the economy back on the path to an 8 percent growth rate or more. Sample what Kumar Birla says, for example. Birla puts out five focus areas which include taming food inflation, boosting manufacturing, addressing the stretched fiscal resources, financial deepening and aiming for sustainability. He sets out the tasks under each of these heads so that the aims of price stability, sustainable livelihoods and job creation are met. Industrialist Adi Godrej is equally vocal about the urgent need to bring in reforms in some areas. Godrej stresses on the need to start off with the GST which he feels could be easy to push through if brought in early, particularly in case of a non-United Progressive Alliance (UPA) government at the Centre. This is because the UPA had pushed for GST and it would find it hard to oppose it should another government bring GST in, Godrej has reasoned. GST alone has the potential to add 2 percentage points to India’s GDP and is a much-needed reform. Ajay Piramal, on the other hand, feels some flawed legislations like the Land Acquisition Act will need to be reversed if manufacturing is to be given a big boost. “I don’t know how this will be done, but the government needs to find a way, otherwise we will be stuck,” says Piramal. With other BRIC countries facing their own sets of problems, India still holds the investors’ fancy and if the government is able to get its act together, foreign investors will once again begin to invest in India in large numbers, Piramal feels. Ambit Holdings CEO Ashok Wadhwa points out that if the government is able to address the serious supply-side issues which impede growth and lead to price distortions, foreign institutional investors (FIIs) could return in big numbers and herald good days for the country’s capital market. Kidwai, a past president of Ficci, suggests making fiscal prudence the cornerstone of government functioning. “The first budget will be looked at with a lot of interest,” she writes, stressing the need to urgently restart the investment cycle. 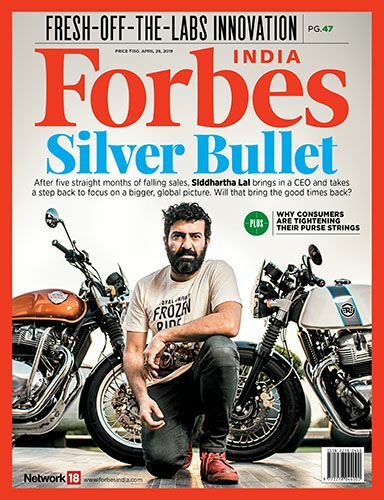 The broad theme which comes through in this Collector’s Edition of Forbes India is this: The next Prime Minister will need to provide decisive, stable leadership where investors – both domestic and foreign – can expect continuity of policy and a determination to unshackle the entrepreneurial drive of Indians. The country needs to reclaim its place on the global stage. Indian business leaders believe it can, given the right set of policy initiatives from the new government.